Just as you were getting used to the rules and politics of university life, you're back to square one with a new challenge: your first job. While the skills and knowledge you've gained in college will certainly be an important part of your toolkit for doing well in your new job, there's also a new rulebook you need to get acquainted with. Prepare for your first job by avoiding these nine mistakes that you may be liable to inadvertently make. Before, when you messed up or didn't put the work in, only you bore the consequences – through a bad grade or a failed class. Now, your mistakes have wider implications than just grades – other people are depending on you to do a job that will have real effects and results in the world. You need to take responsibility for your mistakes, because now their implications affect more people than just you. Networking can be intimidating, especially for a generation accustomed to socializing through screens. But a simple coffee chat with someone in your company may have more beneficial consequences down the road than you would expect. It also important to learn how to network smarter. "I always believe networking is not about only meeting new people, but making the most of your existing relationships. Ask them the question "Who do you know who...?" and start to leverage their networks so you move out exponentially," says Andy Lopata, author of Recommended: How to Sell Through Networking and Referrals. "If I hadn't had mentors, I wouldn't be here today. I'm a product of great mentoring, great coaching... Coaches or mentors are very important. They could be anyone – your husband, other family members, or your boss," Indra Nooyi, the CEO of PepsiCo, has said. Mentors can leverage you through your career when you most need it. While mentorship isn't something that's talked about a lot when you're entering the workforce, it's critical to start thinking about finding mentors from day one. Don't graduate without using this important resource. These professionals can help you identify the careers you want to pursue, connect with industry professionals, create impressive application materials, practice for interviews and more. Stop by your career services office, or make an appointment to meet with a counselor. Help them help you. You may not be as much of a newbie as you think. Students often undermine their extracurricular and work experience, Schmidt says. To get a sense of what you can offer an employer, he suggests writing out all your professional experiences – from working in the library to campaigning for student government – and then fleshing out which you can leverage for the types of jobs you're pursuing. Say two students worked in the dining hall for a few years. Schmidt point outs that while one may say she just schlepped food part time, the other could take the time to build a list: trained five new employees, promoted to assistant line cook, awarded employee of the month and so on. The latter student is the one who will have strong, evidence-backed experience on hand for interviews, networking, résumés and cover letters. And that student will have the edge when job searching. Reference your list of experiences when creating your résumé, which is helpful to have ready to go when opportunities arise. Here's what an entry-level résumé should look like, according to Robin Reshwan, U.S. News blogger and founder of the consulting and staffing firm Collegial Services. If you don't have a LinkedIn profile yet, get to it – like, now. This professional networking tool is what enables employers and professional contacts to find you and connect, and it gives you the opportunity to show off what you offer as a job candidate. Visit students.linkedin.com to get LinkedIn advice targeted toward internship hopefuls and entry-level candidates. Use LinkedIn to network, too. Schmidt advises starting with "warm" contacts, like fellow alumni. From the LinkedIn homepage, under the "Connections" tab, click "Find Alumni." Use the filters to identify alumni based on location, employer, industry, education and skills. When you see someone you want to contact, send a message. Steer clear of the "I-need-a-job" plea, and either share something of interest or simply tell this person you're in the early stages of job searching and would like to connect, Schmidt says. Along with a LinkedIn profile, a personal website provides one more way for employers and professional contacts to find you online and learn about what you can offer. To learn more, social media consultant and U.S. News blogger Miriam Salpeter shares why job seekers should have a personal website and how to build one. Schmidt points out that simply reading through common interview questions and thinking about your answers doesn't cut it. You need to actually practice the interviews with a career counselor, friend or family member. "It's like anything else when you're exercising or practicing for a sport, you need muscle memory," he says. "You need to be able to do it without even thinking about it." Take a video of your mock interviews. Record mock interviews with your phone, so you can observe (and then improve) your answers, energy and body language. Schmidt observes that in these situations, students are often quick to see weak points – why am I rambling on so much? – but often overlook what they're doing well. "Sometimes we're our own worst critic," he says. "And we may miss some of our positives." Cut yourself some slack. Seriously, Ctrl + Alt + Delete. Building your online brand and fine-tuning your résumé is important, but so is interacting with real-life humans. Grab coffee with your mom's friend who's in your target industry, or shadow her for a day. Search online for meetups of young professionals in your area, and attend. Volunteer. These activities provide networking opportunities and show potential employers you're more ambitious than the other entry-level candidates you're competing with, who are just staring at job boards. Schmidt says those who actively commit to the job-search process – by following these tips, for example – fare better than those who passively go through the motions. "You have to be in charge of this search," he says. "It takes work and commitment, but there's a great payoff at the other side of it, which is finding a fantastic job that builds on your strengths and is very rewarding for you." It might have been okay in college to pull all-nighters before a big deadline. But pulling an all-nighter and then going to work the next day is unsustainable, especially if you're expected to be fully functioning at work. It's now your responsibility to your job – and even more importantly, your colleagues – to bring an awake mind to your job. While your professor may have been gracious in granting you extensions for your paper you handed in a week late, your boss might not be so understanding – especially if you tell them at the last minute that you're going to need more time for something. In addition, while your processor's primary goal was to help you learn, your boss's primary goal is to help you work. Keep that in mind as you navigate this new power dynamic. Just because a big meeting isn't a final exam doesn't mean you shouldn't study for it like you would for a test. And just because you're not being evaluated with a grade every time you turn in an assignment or complete a project doesn't mean you should take it any less seriously. Especially as a newbie on the job, this is your time to show up with your research already done and your slides already made, so that you can prove yourself to others and avoid wasting their time. As a new member of the workforce, this is your first chance to prove yourself in the professional world. Marissa Mayer, the former CEO of Yahoo, has said of starting out in her career, "I always did something I was a little not ready to do. I think that's how you grow. When there's that moment of 'Wow, I'm not really sure I can do this,' and you push through those moments that's when you have a breakthrough." Failing to find that edge can stall your future development. Unless your job title contains the words "social media strategist", chances are your boss (and colleagues, for that matter), won't be very happy to look over and see you browsing Facebook. The same goes for scrolling through your smartphone. Your office does not afford the anonymity of a large lecture hall. Glassdoor Is Hiring Like Crazy — Apply Now! 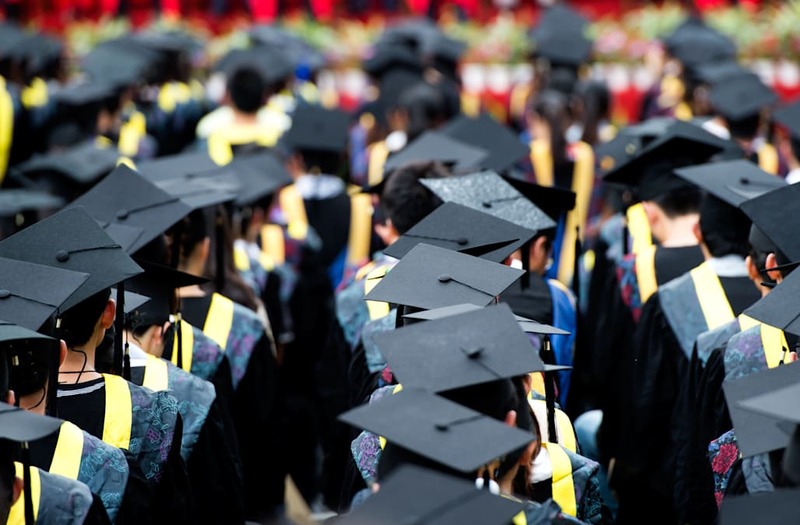 10 Companies Offering Student Loan Assistance & Hiring Now!